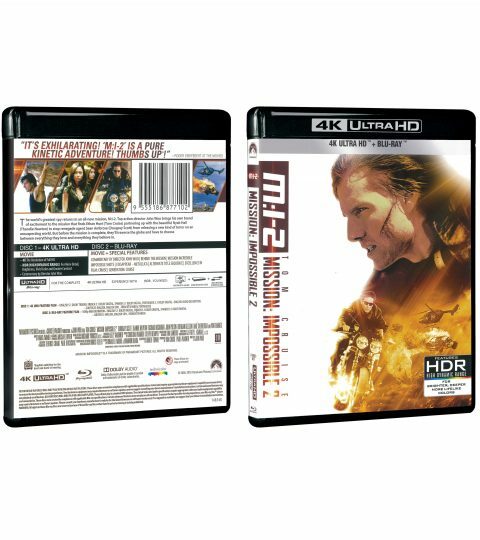 The world’s greatest spy returns in an all-new mission, M:I-2. Top action director John Woo brings his own brand of excitement to the mission that finds Ethan Hunt (Tom Cruise) partnering up with the beautiful Nyah Hall (Thandie Newton) to stop renegade agent Sean Ambrose (Dougray Scott) from releasing a new kind of terror on an unsuspecting world. But before the mission is complete, they’ll traverse the globe and have to choose between everything they love and everything they believe in.